If you have a commerical driver license then you must have a physical every two years unless you are being monitored for some medical problem such as hight blood pressure or a heart problem. We do physicals fast and inexpensive. We don't believe that you need to wait days or weeks to get your physical. Come in today or call us to schedule you appointment, because our prices are the lowest in the Modesto region. Exams are required every 24 months or as directed by the examining practitioner, or when any driver's ability to perform his/her normal duties has been impaired by physical or mental injury or disease. Transportation firms need to be aware that inferior quality exams are to be avoided - they do not save money and they increase the liability of your company. Romo Chiropractic has dedicated itself to bringing the safest and most up-to-date professional approach to the DOT Medical Examination / DMV Phyicial in the Modesto Area . Wear comfortable clothes and bring any required forms, including the Medical Examination Report DL 51 (PDF) with "Driver Information" and "Health History" sections completed in black or blue ink. Vision Test - Corrrected Vision at least 20/40 (Snellen), Uncorrected Vision at least 20/40 (Snellen), Binocular acuity at least 20/40 (Snellen), Horizontal Field of Vision at lease 70 degrees, and the abilty to recognize the color of traffic signals. Hearing - first perceives a forced whispered voice in the better ear at no less than 5 feet with or without hearing aid. 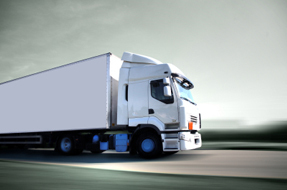 We'll complete your Medical Examination Report DL 51 (PDF) for Commercial Driver Fitness Determination form, give you a summary of your exam and provide a Medical Examiner's Certificate as appropriate.